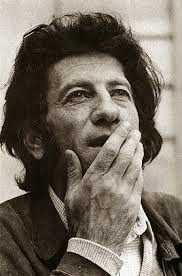 The Serbian author Danielo Kis, in contrast to most of us, died too soon, in October 1989, of lung cancer. The tales in The Encyclopedia of the Dead reexamine the relevance of mystical legends ("Simon Magus", "The Legend of the Sleepers") and offer fantastical takes on 20th century realities in metaphysical imaginings on the theme of death, in Kis's estimation "one of the obsessive themes of literature." His debt to Kafka, Borges and Nabokov (that trinity of the astonishing in modern literature) are clear, but his stories stand on their own merit. The story "The Encyclopedia of the Dead" is a remarkable elegy for the life of everyman, an acknowledgement of the narrative significance in the lives of even the least of us.